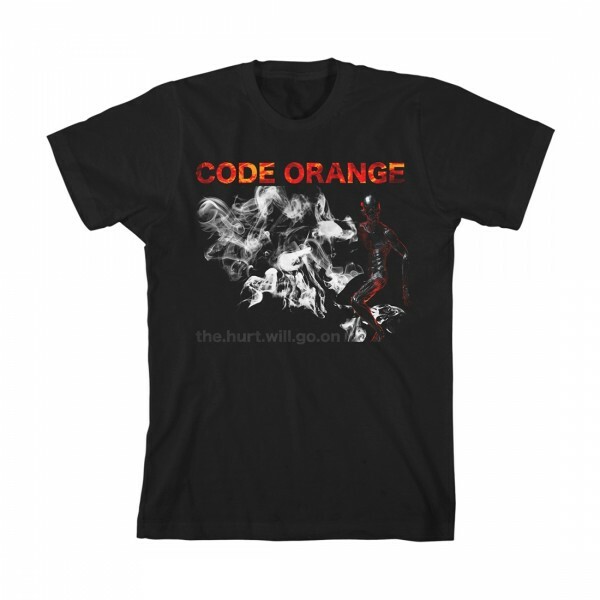 This Code Orange t-shirt celebrates the band’s new release, The Hurt Will Go On. Design features the band name across the top in a bold flame font, a smoke design in the middle, and “the.hurt.will.go.on.” printed across the bottom of this black, unisex Alstyle 5301 brand t-shirt. Material: 100% Cotton Jersey.